Need some affordable hiking or trail shoes? 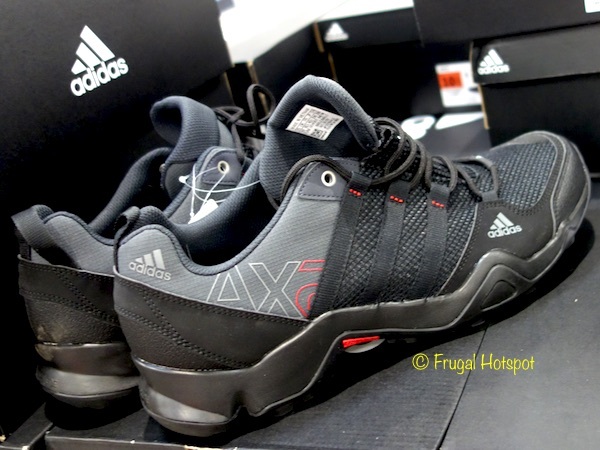 Select Costco locations have the Adidas Men’s AX2 Shoes on sale for $29.99 (after instant savings), now through April 9, 2019. That is $5 off Costco’s regular price of $34.99. While supplies last. Item #1142807. These shoes come in sizes 9-12 and half sizes from 8.5-10.5, subject to what’s available when you shop at Costco. It’s made from synthetic mesh upper, EVA midsole and rubber outsole. Sizes 8 and 13 may be available at costco.com, while supplies last. Model D67192. Price and participation may vary so it may not be available at your local Costco or it may not be on sale at your local Costco or it may be a different price at your local Costco. Prices & sales dates may change at any time without notice. Photos may not be a perfect representation of the product. Description of product is garnered from product packaging. This is not a product review.